Seafarers in the Arctic regions face a number of challenges related to climate, weather and limited infrastructure, and a vulnerable eco-system. Actors involved in activities such as oil drilling, sea farming, cruise tourism and cargo transport have to focus on safety and risk assessments. Both commercial actors and governments emphasize the importance of increasing emergency preparedness in order to prepare for unwanted incidents. The Marpart Consortium consists of 13 universities and research institutes that focus on emergency management and crisis preparedness. The consortium is coordinated by Nord University in Bodø, Norway. The Marpart projects presently include two interlinked projects: Marpart 1 and Marpart (2)-MAN. 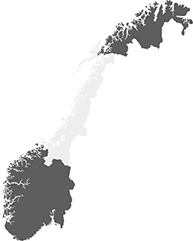 The Marpart project portfolio is funded by the Norwegian Ministry of Foreign Affairs, the Nordland County Government and by the participating institutions. The Marpart Project Consortium investigates the Arctic region’s overall preparedness resources, cooperation challenges, and the organization and management patterns of the broad range of emergency agencies present. Preparedness bodies must prepare for scenarios such as major oil spill response (OSR), fire on board (fi-fi), mass search and rescue operations (SAR) and violent actions (anti-terror). Such situations require support from a broad range of institutions, and may include resources from neighbouring countries, so-called host nation support (HNS). The Marpart consortium investigates how joint operations are organized and coordinated in different parts of the emergency response chain. Project researchers look into tactical level on-scene coordination, operational level command systems, and strategic level management structures. The emergency preparedness system involves a number of players, such as the distress vessel Captain and crew, Samaritan vessels, On-Scene Coordinators (OSC), mission coordination centers, and task forces including police, paramedics, fire brigades, and coast guard. This mosaic of actors requires significant efforts of coordination and control. The Marpart-consortium studies Arctic maritime activity patterns and the potential risks of maritime traffic in High North environments as a platform for understanding organization and management challenges related to maritime preparedness. Marpart also focuses on institutional aspects, including multilateral and bilateral agreements between Arctic countries within the field of maritime preparedness. Marpart’s research also focuses on managerial roles in the emergency response chain, as well as the preparedness management systems implemented by agencies, such as the Incident Command System (ICS). Borch, Odd Jarl; Schmied, Johannes. 2016. MARPART-PROJECT CONSORTIUM MOBILIZES COOPERATION AND PARTNERSHIP ON MARITIME PREPAREDNESS IN THE HIGH NORTH. IASSA Northern Notes, Issue 46, p.41 http://iassa.org/images/newsletters/Northern-Notes-Issue-46-Autumn-Winter-2016.pdf . Nese T. & Dalsand R. (2016) Identification of Challenges and Hazards associated with Cruise Traffic and Evacuation in the Arctic. Master thesis in Technology and Safety in the High North. The Arctic University of Norway (UIT), Faculty of Science and Technology, Department of Engineering and Safety, Tromsø. Kvamme B. O. (2016) Validation of heat transfer coefficients – Single pipes with different surface treatments and heated dek element. Master’s thesis at faculty of science and technology. University of Stavanger (UIS), Department of mechanical and structural engineering and materials science, Stavanger. Marchenko, N.A., Borch, O.J., Markov, S.V. & Andreassen, N. 2015. “Maritime Activity in the High North – the Range of Unwanted Incidents and Risk Patterns, conference paper, Proceedings of the 23rd International Conference on Port and Ocean Engineering under Arctic Conditions”. Marchenko N.A. 2015. “Ship Traffic in the Svalbard Area And Safety Issues. Proceedings of the 23rd International Conference on Port and Ocean Engineering under Arctic Conditions”. Barland, Bjørn (2015) “Fighting” criminality in The High North – possibilities and limitations, Poster at the 15th Annual Conference of the ESC, porto, 2-5 September, 2015. The 5th MARPART-conference at the Hurtigruten Coastal Cruiser "MV Polarlys"
Leaders of emergency management in Nordland inaugurate new simulator for emergency management training at Nord University. The Marpart project, together with the EDDA Center of Excellence at the University of Iceland, recently hosted a conference in Reykjavik. The focus was on cross-institutional and transnational cooperation. It is a pivotal point for us that Norway, Russia, Iceland and Denmark/Greenland can combine resources, and work together to meet future challenges in the Arctic environment. There were many issues discussed at this third Marpart conference in Reykjavik. The Marpart conference has earlier been arranged in Arkhangelsk and Murmansk, and the next one will take place in Bodo, Norway. The first Kick off meeting in the MARPART2-MAN project has taken place. In the fall of 2015 the Norwegian Ministry of Foreign Affairs and the Nordland County Administration granted an additional six million NOK for the Marpart project carrying the title: Joint task force management in High North Emergency response (MARPART2-MAN). The project is expected to conclude in December of 2017, and participants include The Norwegian Police University College, World Maritime University, University Center in Svalbard, Murmansk State Technical University, Northern (Arctic) Federal University, Norwegian Fire Protection Institute, The Royal Norwegian Naval Academy Navigation Center and the Norwegian Defense Research Establishment. The purpose of the Marpart – 2 Man project is to contribute to more competent host-nation relief support and efficient cross-border cooperation through knowledge transfer in and between competence institutions, and between these institutions and the preparedness system. The project shall also contribute to a tailor-made education and to more goal-oriented and cost-efficient training and exercise schemes. The conference was organized jointly by the High North Center at Business School Nord University (Bodø, Norway) and EDDA – Center of Excellence at the University of Iceland (Reykjavík, Iceland). It took place in Reykjavik on February 25.2016 at the National Museum, located on the campus of the University of Iceland. The event gathered around 100 participants representing SAR-related authorities, commercial and non-commercial organizations as well as academic institutions from Norway, Iceland, Denmark, Russia and Greenland. A number of diplomats and ambassadors located in Reykjavik visited the conference as well. Another important group of participants were students of the University of Iceland. During the event several questions connected to different aspects of safety and security for maritime activities in Arctic waters were up for discussion. The conference ended with a very interesting round table discussion under the topic “Challenges to Search and Rescue and Post-emergency Operational Management: State versus Corporate Interests, International Norms and Legal Regimes, and Responsibilities of Security Actors while Arctic strategies and security policies: crises management and coordinating, safety and security for commercial activities in Arctic waters”. The conference served as a good platform for the continued development of a SAR-related partnership network in the High North. Torghatten ASA gjør som de pleier: Leverer rekordresultat. For 2015 er resultatet før skatt på 483,4 millioner kroner. The Marpart researchers Natalia Marchenko from UNIS Svalbard together with Frode Nilssen and Odd Jarl Borch from the University of Nordland is participating as observers/evaluators at the Barents Rescue exercise in Levi, Finland. This bi-annually exercise includes emergency capacities (ambulances, fire fighting trucks, helicopters) from Russia, Sweden, Finland and Norway. From the Marpart project we are in particularly interested in the command structure led for this operation. The rescue operation is led by the Finnish Lappi region Fire and Rescue services and the coordination of resources from other countries, so called host-nation support. We also look into the exercise concepts that will be of interest for the Marpart 2 project (starting in January) that will focus on competence development and training. Laurea University of applied sciences in Southern Finland has developed an app for evaluation of exercises that we are testing out during the exercise. They are also coordinating the evaluation. There will be a large evaluation report finished in January from the exercise with contribution from all the evaluators. Ensieh Roud has started working at the High North Center as an advisor / a researcher for the MARPART project. Ensieh Roud was born in Tehran, Iran in 1990. She has been living in Norway since 2007 until now. She has done her high school in Berg videregående in Oslo and she has been awarded an International Baccalaureate diploma (IB). In 2009 she started her bachelor at BI, Norwegian business school and graduated in Business Administration specialized in shipping. Due to her interest in maritime and shipping, she studied her master in Maritime Management from HBV in Tønsberg. Currently she is working on MARPART project as an advisor/researcher at the High North Center at University of Nordland. Her main research area will be organizations and operational management structures, which falls within work package number 3 in MARPART. She intends to do her further research on Coordination of Joint Multi-national Operations in the High North with focus on dynamic capabilities, cultural challenges and managerial roles. MARPART project team and advisory board members visited Murmansk during April 7-11.2015. During the visit project partners, including project advisory board members took part in the conferences “Arctic Logistics” and Joint “MARPART-SEBS Conference On Maritime Preparedness Partnership And Search And Rescue In The High North”. April 11 MARPART project workshop was held on the board of the first Russian nuclear powered icebreaker “Lenin”. During the meeting, partners discussed project status and further steps. MRPART team also visited Marine Academy at Murmansk State Technical University and local company “Eco Service” where equipment used for fighting against oil spills were presented. MARPART project team and advisory board members visited Arkhangelsk from 23 of September to 25 of September. During these days, MARPART partners visited Rescue Coordination Center (Arkhangelsk regional division of EMERCOM), Arkhangelsk Regional Rescue Service named after I.A. Polivanyi (ARRS) and took part at the opening of the EMERCOM Arctic Emergency Center in Arkhangelsk. September 24 partners took part, as participants and key speakers, in the international conference «Challenges in Emergency Preparedness and Response in the Arctic. Staffing issues» that was held by the Northern Federal (Arctic) University (NArFU). In addition, Karsten Peter Jensen (PhD student, University of Iceland) and Bent-Ove Jamtli (Director, JRCC North of Norway hold lectures for students of the Northern Federal (Arctic) University. September 25 project partners visited the Institute of Integrated Safety at NArFU and had MARPART project meeting there. During the meeting, partners discussed project status and further steps. MARPART project kick-off seminar was held in Bodø 17-18.02.2013 at the University of Nordland. Projects partners and Advisory Board Members took part in the seminar. At the beginning of the seminar, Odd Jarl Borch (Project leader, Professor at Business School at University of Nordland) presented the project. Further, during the seminar project partners discussed project content, planned activities and project timeline. Advisory Board members gave own contribution to the discussion of MARPART further focus areas and activities. In addition, seminar participant visited headquarter of the Joint Rescue and Coordination Center of the North of Norway what is located in Bodø. The main purpose of the Marpart 1 project is to assess the risk of the increased maritime activity in the High North and the challenges this activity may cause for the preparedness institutions in the region. Marpart 1 focuses on cross-institutional and cross-country partnerships between emergency institutions and companies. Marpart conducts research on the management of joint operations, including so called host-nation support, which involves the mobilization of resources from several countries. Marpart 1 highlights the responsibility of the Arctic state governments when it comes to preparedness related to safety, security and environmental protection in the High North. Marpart 1 documents the need for capabilities for adequate response to composite challenges including search and rescue (SAR), oil spill recovery, firefighting and salvage, and acts of terror or other forms of destructive action. The focus is on managerial tools for coordination and control to make optimal use of the resources from several institutions and countries. Increase understanding of future tasks and the demands for a preparedness system in the High North related to search and rescue, oil spill response, firefighting and salvage, and actions against terror or other forms of destructive action. Provide analytical concepts for studying coordination challenges in cross-border, multi-tasking operations. Contribute with organizational concepts, which can be applied to inter-organizational partnership and the management of joint operations.  Norwegian Coastal Administration (Norway), Department for Emergency Response. Project Marpart-2 (MAN): This project focuses on emergency management competence and the development of tailor-made programs for education and training of key personnel involved in emergency operations. We elaborate on the need for knowledge transfer of best practice and the development of management standards for a transparent response to severe accidents. In this project, we take as a starting point the findings of the Marpart (1) -project. Experiences from real emergencies and exercises are analysed to reveal the needs for competences for co-ordination and overall governance of emergency resources. There is a demand for knowledge transfer, education and training programs for key personnel working in joint operations, both at sea, within companies, in the voluntary organizations, the local and national government and the preparedness agencies. (4) Operational institutions within the preparedness system with special forces and/or coordination authorities in the High North. To facilitate knowledge transfer between the educational system, government institutions and emergency key personnel dealing with cross-border high-crisis situations. To contribute to more tailor-made task force education and to more goal-oriented and cost-efficient training and exercise schemes. To contribute to more competent host-nation emergency support and efficient cross-border operations through knowledge transfer in and between competence institutions. PROJECT PERIOD: January 2018 – December 2020. The MAREC project is focusing on inter-organizational coordination of mass rescue operations in complex environments. The project aims at improving the knowledge on the emergency preparedness policy framework and the coordinative roles and mechanisms of the rescue services. The project addresses inter-organizational and inter-jurisdictional coordination of large scale crisis situations including several emergency agencies and several countries. The empirical setting of this study will be mass rescue operations both at sea and land, where a broad range of emergency response actors, including volunteers are involved. Theoretically, we build upon and contribute to the management theory, emphasizing generic managerial roles and coordination processes, organizational theory on structuring mechanisms, and institutional theory in targeting environments where a large number of stakeholders are involved. There are four work packages (WP) which are described under “Project Structure”. • Inform about available data, reports, etc. The University of the Arctic (UArctic) has established a thematic Network on Arctic Safety and Security including 19 universities and research institutions. The University of the Arctic (UArctic) is an umbrella organization consisting of 160 universities and research institutions. The UArctic Thematic Networks form a natural framework for development of UArctic education and research and provide an optimal structure for increased generation and sharing of knowledge across the North. UArctic Institutes are self-governing units devoted to research, monitoring and education throughout the Arctic. Safety and security are a prerequisite for the growth and welfare of the Arctic communities and for viable and sustainable commercial activities in the region. The UArctic Thematic Network on Arctic Safety and Securityaddresses the risks of operating in the Arctic and ways to prevent incidents that may represent a threat to human life and health, the environment, values and welfare of the local communities in the Arctic. When addressing Arctic Safety and Security, cross-border cooperation and optimal use of the preparedness resources of the Arctic countries are important factors. The thematic network includes two sub-groups: Tourism Safety, and Emergency Preparedness. The Oplog project studies the offshore oil and gas supply chain and the relations between offshore service vessel companies and the petroleum companies operating oil and gas fields in the Arctic regions. There is a need for increased knowledge on operational concepts suited for Arctic conditions. The Oplog-project analyses innovative business process management concepts in offshore logistics operations, particularly the organizational configuration of the shipping services that support platforms or other floating units located in Arctic waters. The Oplog project also studies the interface between the ship-owners operational management, the offshore vessels taking part in in a logistics operation and the oil company responsible for the offshore logistics. The main objective of the Oplog-project is to increase understanding of the relations between the operational context, offshore logistics systems and the management of the business processes included in an offshore supply chain. Map operational logistics challenges and demands for the offshore supply vessel (OSV) fleet in Arctic waters compared with the North Sea. Shed light on business models and specific business processes of shipping firms in different contexts, with emphasis on innovation.